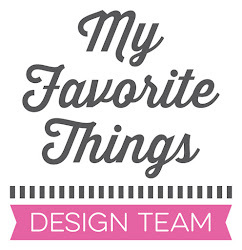 It's time for another MFT Sketch Challenge and we have a simply fabulous sketch for you this week. 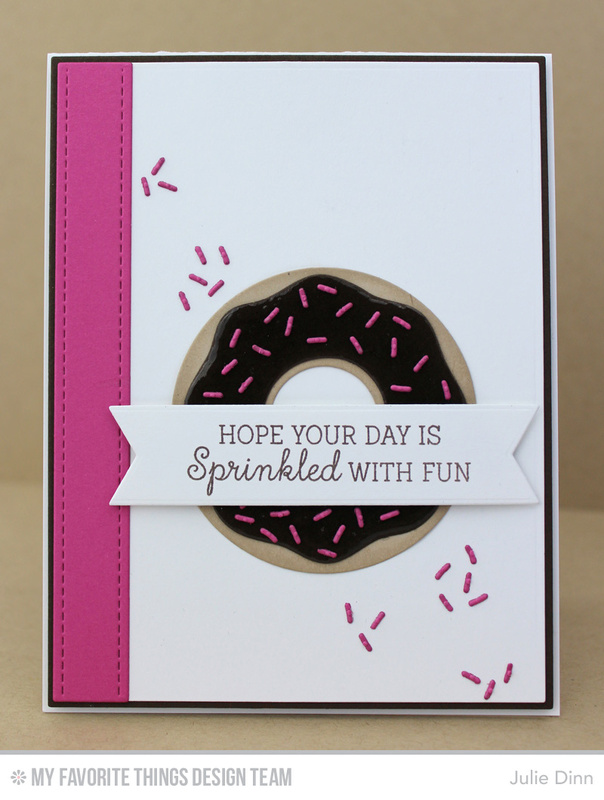 The new Donuts Die-namics and Donuts and Sprinkles stamp set were the perfect pairing with this sketch. I die-cut the donut in Kraft and Chocolate card stock. 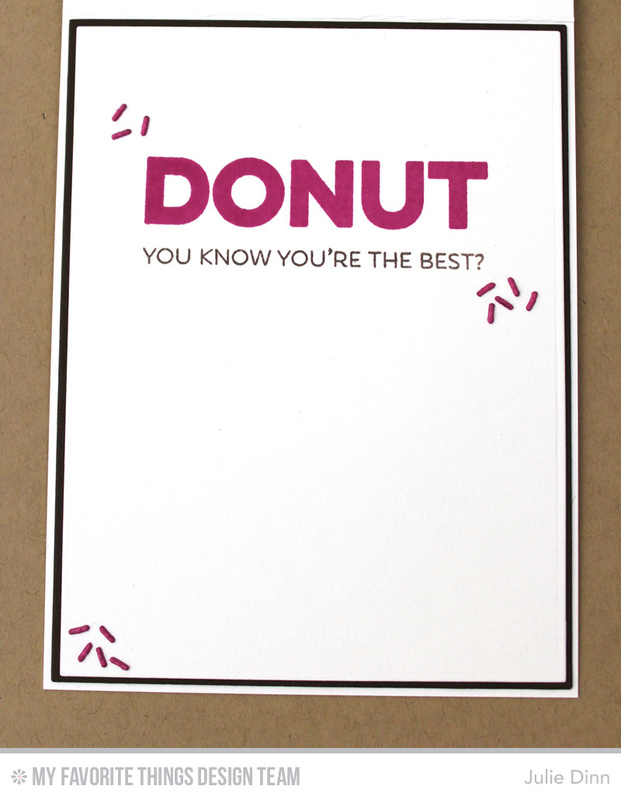 To add a little definition to the donut, the Kraft card stock was sponged with Kraft Premium Dye Ink. The Chocolate card stock was given a liberal coating of Glossy Accents. Once the Glossy Accents was dry, I added the sweet sprinkles. 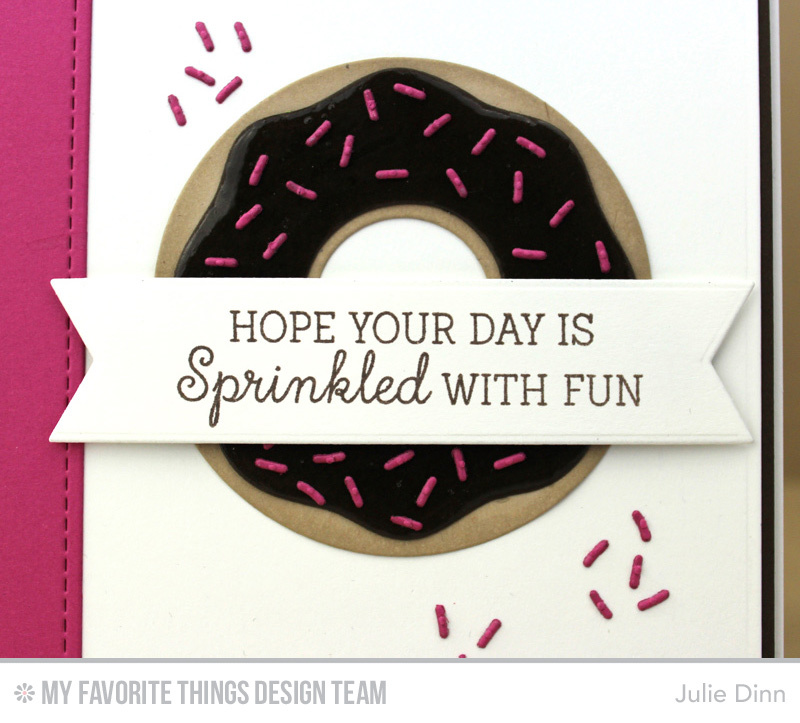 On the inside of the card, I stamped a few sentiments from the Donuts and Sprinkles stamp set. I also added a few sprinkles. 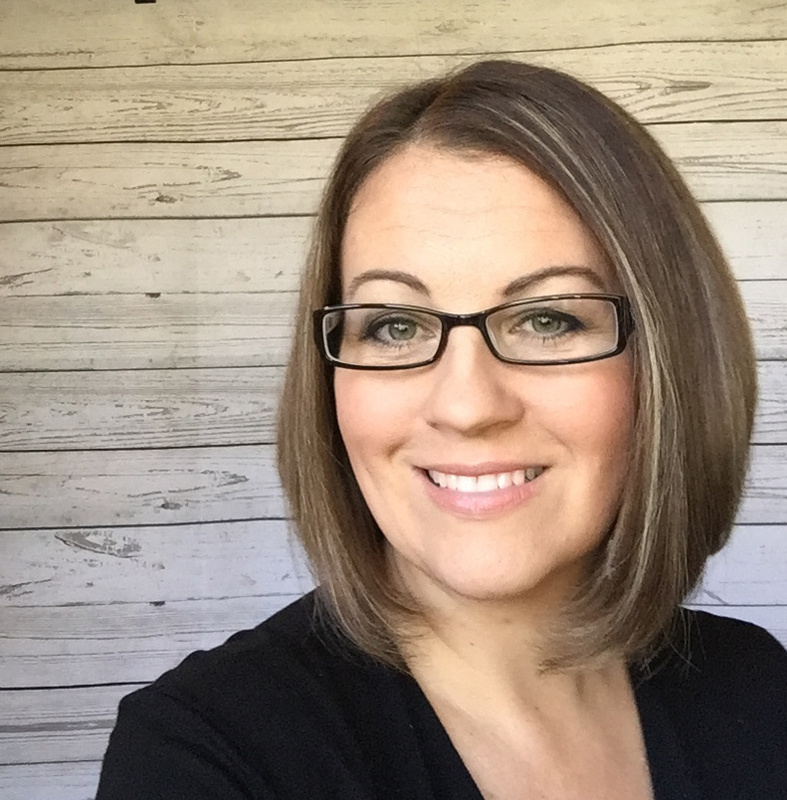 Be sure to check out the MFT Challenge Blog to see all the gorgeous creations the challenge team has created to share with you. Don't forget to get your card entered for a chance to win! love the scattered sprinkled! such a sweet card, Julie! Super tasty, Julie! When I went to church this morning, the smell of donuts was wafting through the air. And yet, there were no donuts inside. Torture.